Civilian Theatre was one of many celebrating when Rupert Goold snagged the job of Artistic Director at the Almeida and given the unenviable task of continuing the success of Michael Attenborough’s 11-year tenure. Based on his opening salvo; the intentionally eye-catching American Psycho: The Musical before bringing in his former company with the Headlong-produced 1984, it appears Goold has a canny sense of how to blur the boundaries between popular and elitist theatre. Appropriately enough the issue of succession is at the heart of the first play Goold has personally directed at the venue; Mike Bartlett’s King Charles III. Another well-judged choice, Bartlett’s play cannot fail to appeal to all audiences. 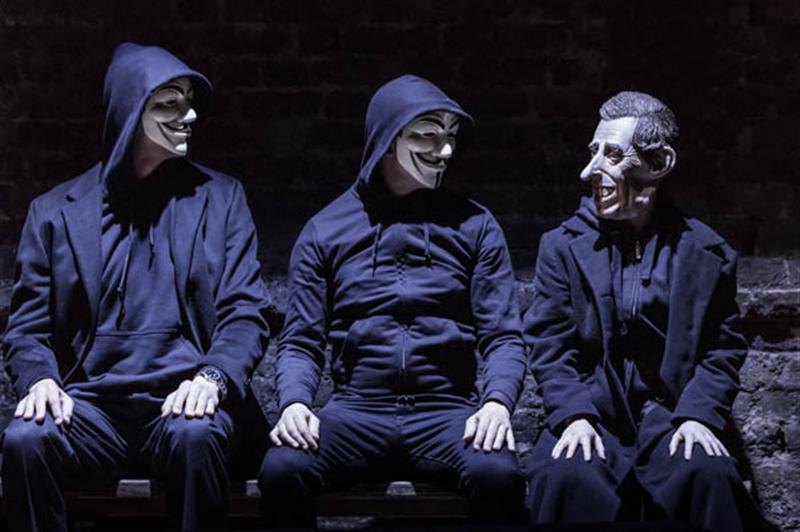 Much has been made of the Shakespearian overtones but the true success of the play is that it is a hugely enjoyable piece of, what Bartlett calls, ‘future history’, which also raises questions that Britain as a country will need to confront in time. Like Jerusalem this is proper state of the nation theatre and it is heartening to see a playwright unapologetically examine ‘big issues’ on such a grand scale. Bartlett demonstrates that verse has its place in modern drama and that audiences needn’t be turned off by the use of heightened language. The use of iambic pentameter isn’t purely to demonstrate Bartlett’s skill as a poet but because he is dealing with characters that are simultaneously entirely real and, to the majority of us, entirely unknowable. The greatest PR trick that royalty has ever pulled off was to create this public image and then to strenuously avoid revealing their true face. Our current Queen has studiously kept to this template and it is notable that it is only when the mask slips that the public begins to question their value. As we enter a new era, the age of Will and Kate and of smartphones and public accessibility, this model is in a state of flux and Bartlett has pitched Charles’ succession as the moment that the new and old world will collide. The use of verse is a way into this private world. How can prose be placed into the mouths of people who are so recognisable but so unknown? We cannot know how they really speak behind closed doors and so creating a state of unreality through artifice is a way to reach some kind of truth. It also allows Bartlett pre-existing conventions to slip seamlessly between conversation and monologue. We are permitted into an inner-realm, not just the closed world of the monarchy but the private consciousness of its key figures. The allusions come thick and fast and for those who know Shakespeare there is much fun to be had in spotting the references. However Bartlett ensures that this is not to the detriment of those who haven’t been schooled in all the History plays and a fair portion of the tragedies. The characters he draws are fascinating in their own right and capture the essence of who they are. It is perhaps Prince Harry who is closest to caricature but how could one resist when he is built to be modelled on the classic arc of Hal in Henry IV Part I and II. His entrance to the nightclub and his night of revelry is a clear echo of The Boars-Head Tavern in Eastcheap and whilst Jess is a far cry from Falstaff, one senses that it is only a matter of time before there will be a rejection. In a play of many highlights, it is Harry accepting the duty that has been placed upon him and thus leading to the final abandonment of Jess that is the true tragedy of the play. Jess is the one innocent, drawn unwillingly into Harry’s world and the one target that press can attack. It is a superb and understated performance by Tafline Steen; she gives Jess a stoic dignity in her humiliation and the image of her standing alone before the coronation tears at the heart. It is a brutal reminder, if any was needed, that above all this is a club whose very survival depends on its exclusivity. The play is a tragicomedy, with a comedic start slowly giving way to the grand tragedy as the crisis develops. Like so many tragedies it is one action that sets the direction on its course and it inexorably rolls towards its conclusion due to man’s frailty. It starts with a funeral, amidst a wonderfully staged requiem scene, and inevitably ends with a coronation. It also features the great dramatic device of signing a document, and it is here that for all the idiocy of Charles we find sympathy for him; he does not fall as far as Lear but the moment that he realises that he must sign is reminiscent of Lear (‘reason not the need’) pleading Goneril and Regan for his knightly retinue. We know Lear has brought himself to the pass but we sympathise because of, rather than despite, his foolishness. It is the same with Charles that with one rash act, to challenge Parliament, he has like Lear, to split his Kingdom, condemned himself with an unworldly pride and a fatal inability to distinguish between power and authority. Misunderstanding of royal power leading to constitutional crisis and abdication cannot help but remind of Richard II. However there is less to be drawn into this than in other Shakesperian characters. Tim Pigott-Smith’s Charles may share Richard’s naivety but he does not share his cruelty. There is no moment in the play that Charles echoes Richard’s splendidly cold moment when, on hearing the illness of John of Gaunt, he states ‘pray God we may make haste, and come too late!’, instead he is more a kindred spirit with Shakespeare’s less-performed tragic heroes, Coriolanus and Timon of Athens. The tragedy of Charles is his unwavering sense of moral principle. He does not recognise flexibility to be an option and even making a gesture towards reconciliation cannot be achieved. Like Coriolanus and Timon he see himself as a good man in a bad world, and that if he does not have his virtue then he will have nothing of himself. People desperately present solutions that require compromise on all sides but they are rejected because there is principle at stake. It is foolish but it is not evil. In many way Pigott-Smith presents a very warm, and almost lovable, Charles and the frustration one feels with him is not with his cause but with his approach to the solution. The skill of Bartlett’s play is that it paints its characters in shades of grey. Writing in the modern world means having the freedom to allow more balanced portraits that Elizabethan playwrights were allowed when writing for the monarchs of the day. 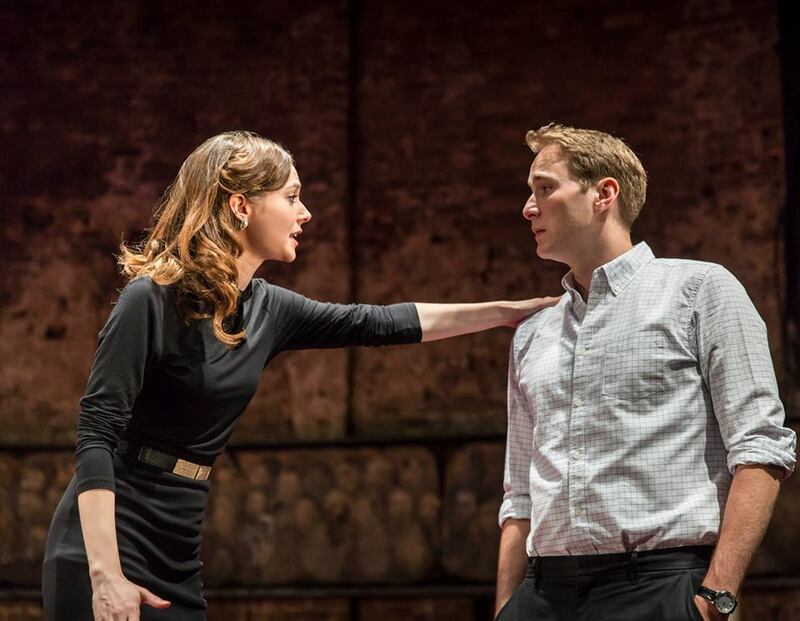 The manipulation of Will and Kate into a modern-day Macbeth and Lady Macbeth is to see Macbeth rewritten from the perspective of both the losers and the victors. Kate (the always fantastic Lydia Wilson) is very clearly presented as having no illusions about her role but, in a splendid monologue that is possibly the highlight of the play, makes plain that her steely edge and determination is fashioned by the fact that she comes from the world that true royalty can only imagine. She may look for power but she, of them all, is the only who understands what must be done in order for it to survive. More intelligent, resourceful and far-sighted than those around her, it is difficult to tell whether we should be cheered by her clear aim to be the right-arm of the future king. Oliver Chris steals the show as William, looking like him and also capturing a certain diffidence in his mannerisms. The transition from bumbling, nervous son to a chillingly cold future king is brilliant and there is steeliness to his performance in the second half – forcing Charles’ abdication and Harry’s rejection of Jess – that suddenly makes you realise that perhaps you have been supporting the wrong horse all along. 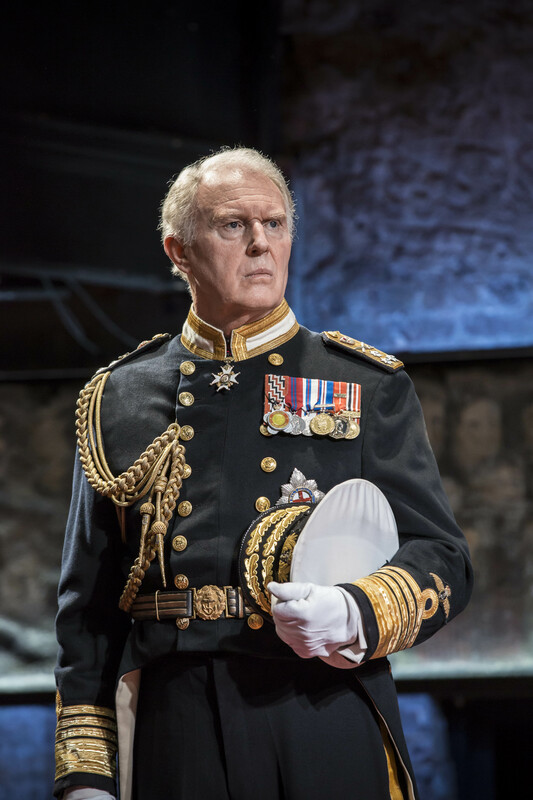 King Charles III is a splendid play and may well find itself with a West End transfer. Performances are strong across the board and well supported by Goold’s understated direction. It is the best new play since Jez Butteworth’s Jerusalem and a welcome reminder that plays that aim big can still achieve great success. Bartlett has found a way into the most private of families that perhaps only Peter Morgan’s film, The Queen, has otherwise achieved, and he has done it by using the most traditional of methods. Just as Shakespeare used the history of past kings to tell stories about the Elizabethan present so has Bartlett taken a mirror to Shakespeare to present us with important questions about our own future monarchy.